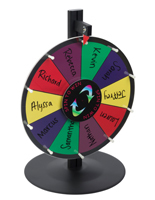 This Cardboard Spin The Wheel Game is a Floorstanding Prize Board! There are Hundreds of Fun Tradeshow Accessories to Choose From! Buy a Cheap Spin The Wheel Game Now! Rotating prize boards can display a variety of prizes in the 18 slots. Each slot has a number to distinguish each space. Space on each slot for writing-in custom prizes. Casino style fortune games are made of cardboard for affordability. 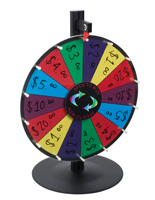 Each low cost spin the wheel game weighs only 3.5 lbs and is 59" tall. The height of these prize boards is great for a floorstanding display. 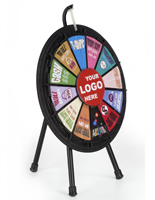 These fun spinning fortune games are lightweight so they can easily be moved around an establishment or exhibition hall. 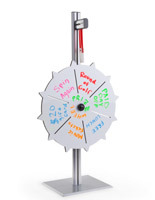 This spin the wheel game is a cheap alternative to the many more expensive spinning prize boards available on this site. In addition, customers can purchase these casino games in bulk quantities at a greater savings. 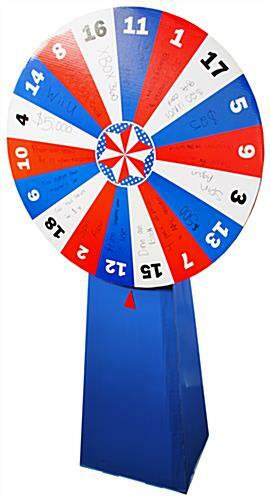 Each spin the wheel game constructed of cardboard is eye catching with the red, white, and blue patriotic colors. These colorful prize boards would make a great addition to any 4th of July or Memorial Day party! These fun casino games are shipped flat to save buyers money on shipping costs. 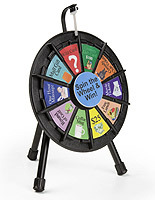 Each cheaply made spin the wheel game is easy to assemble with the included instructions. These prize winning games can be knocked down to travel with to different event. 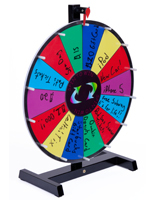 The most popular places to find a cardboard spin the wheel game is school fairs, office parties, grand openings, and much more. 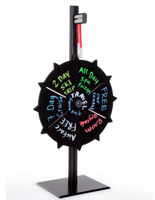 This corrugate cardboard spin the wheel game is designed with 18 sections. Each slot features a number which can be used for a pre-determined prize. 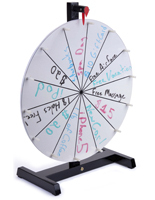 Customers can also choose to write the awards on this cheap spin the wheel game. Consumers should be aware that any writing on these fun game boards is not washable so any fortune will be permanently on the board. 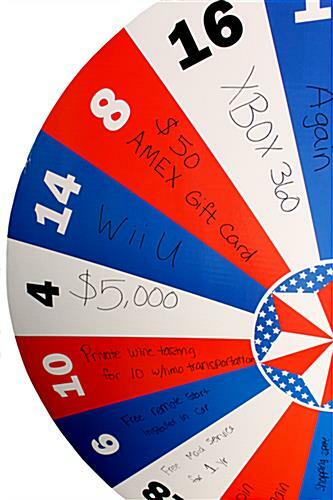 Each spin the wheel game made of cardboard has a red arrow beneath the spinning portion to select the prize. 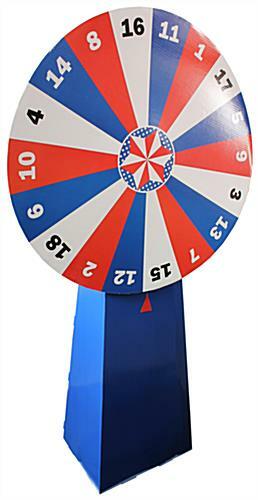 Please Note: This prize wheel is made of corrugated cardboard. Any writing on this display will be permanent. 30.6" x 59.0" x 11.8"